I hope you enjoy my last minute entry to the Pals Paper Arts challenge for last Thursday. I've got lots of cards to show you, but so little time to blog them! Stay tuned and enjoy! As usual, you may order any time (even when I'm very busy) through my Online Store. Patty this is so pretty! Love the coloring on the sentiment, and the embossed stars. Thanks for playing with us this week! Such a great use of these colors, Patti! I love this card! 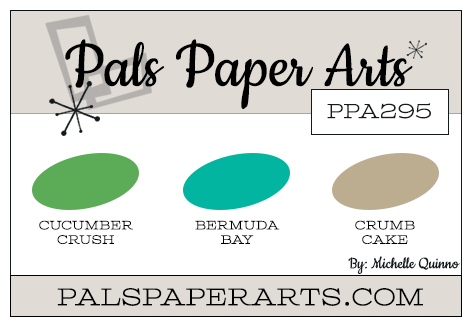 Thanks so much for playing along with this week's Pals Paper Arts color challenge! This is so sweet, Patti! I love the way you used the ribbon. Thanks so much for playing in this challenge! This card has a real WOW factor with the bright colors. Thanks for playing along with the color team!